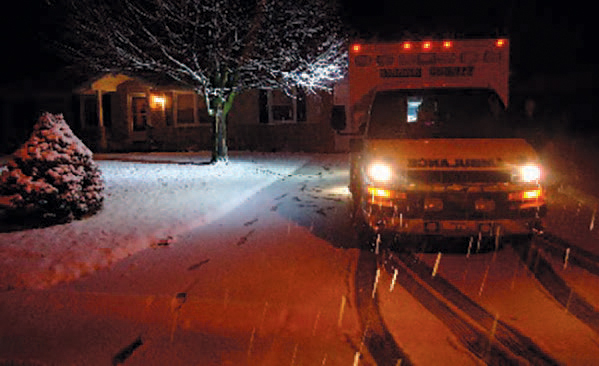 Winter Safety on the Scene and at the Station | F.F.A.M. This article is written in checklist format to provide fire departments with strategies for preventing slip, trip and fall injuries during winter months. Wet floors are unsafe when water pools directly in walkways. Dry these surfaces with fans & squeegees, use warning signs. Lead off each training meeting with a safety message. Make sure each volunteer hears a cold weather safety message. Review your expectations for safe responses during bad weather. Ice melt should be stationed at each door entering the station, as well as at the bay doors. Whenever firefighters discover ice near curb & gutter or on sidewalks, they must take initiative to toss down ice melt. 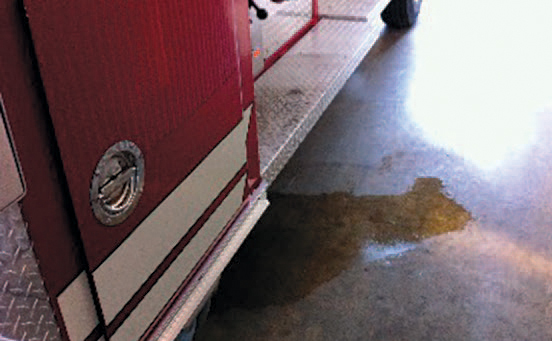 Bay floors are usually very slick when water pools from trucks that are drip-drying. Use box fans dry floors and truck steps. Keep “Caution Wet Floor” signs handy and make sure there are plenty of squeegees ready for use. Take extra time to remove old, built-up ice in parking lots, near stairs or in curb and gutter. Use plenty of ice melt and have good-quality snow shovels handy. Avoid horseplay and running in the bays. Running is necessary when lives must be saved immediately, but running to trucks for routine responses is unsafe. Use plenty of light when on night scenes. Try to stay on paved walking surfaces. When it comes to safety, it’s not overkill to fire up bright generator lights. Ice melt containers are cheap when compared to work compensation claims. Purchase ice melt containers for each truck. Assign one member to throw down ice melt wherever there is ice or snow on the scene. Throw ice melt on porches, steps and sidewalks when on a medical call during bad weather. Toss ice melt down in the action zone and around ambulances when on an auto rescue during icy weather. Use ice melt around the engine’s pump panel when you’re flowing water during cold temperatures. Light it up! Always use plenty of lighting when on night scenes. 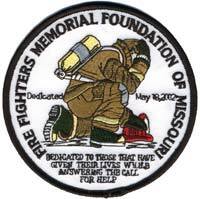 Many medics and volunteers have tripped over water meter lids, ditches and tree stumps when crossing through property. Stay on driveways and sidewalks. Try to avoid crossing through yards when on medical calls. Walk on paved surfaces. When on EMS runs, try your best to park the ambulance on level pavement. Load the cot on a safe walking / working surface. 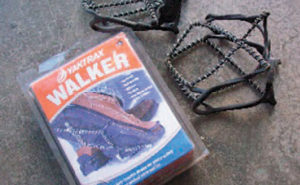 Slip-on ice cleats are a great way to prevent slips & falls on snow and ice. They’re usually around $20 a pair. Verify that each member has the correct personal protective equipment at each fire training night. This can include flash lights, extra pairs of dry gloves, an extra Nomex hood, extra socks & blankets for the trunks of volunteers’ personal vehicles. Does each member have a good-quality flashlight in their vehicle or turnout gear? Are there plenty of extra batteries at the station? Encourage volunteers to make their home and driveway safe also! We don’t want them to fall in their own driveway when responding to a call! Slip-on ice cleats are available for both fire boots and work footwear. Create a written safety rule that requires slip-on ice cleats whenever working in snowy or icy weather. Avoid knee, ankle and shoulder injuries on scene by using three-point contact whenever mounting / dismounting ambulances or fire apparatus. Tread plate can be very slick when wet or icy. To avoid unnecessary vehicle crashes, consider non-emergency responses during poor visibility or bad driving conditions.